An early 1970s left feminist interpretation of Malleus Maleficarum * is the centrepiece of this essay by Barbara Ehrenreich and Deidre English. Witches, Midwives and Nurses explains how the American medical profession came to be dominated by rich, white men. It sets the tone for a dark story of the co-optation by men of medicine as practiced by women from the earliest times and the subsequent alienation, persecution, and subjugation of such women with the rise of the male-dominated “medical profession.” The tragic irony of this tale is that all the good about that profession came from the independent “wise women” of olde. Originally published by The Feminist Press at CUNY. Women have always been healers. They were the unlicensed doctors and anatomists of western history. They were abortionists, nurses and counsellors. They were pharmacists, cultivating healing herbs and exchanging the secrets of their uses. They were midwives, travelling from home to home and village to village. For centuries women were doctors without degrees, barred from books and lectures, learning from each other, and passing on experience from neighbour to neighbour and mother to daughter. They were called “wise women” by the people, witches or charlatans by the authorities. Medicine is part of our heritage as women, our history, our birthright. Today, however, health care is the property of male professionals. Ninety-three percent of the doctors in the US are men; and almost all the top directors and administrators of health institutions. Women are still in the overall majority — 70 percent of health workers are women — but we have been incorporated as workers into an industry where the bosses are men. We are no longer independent practitioners, known by our own names, for our own work. We are, for the most part, institutional fixtures, filling faceless job slots: clerk, dietary aide, technician, maid. Facing an economic crisis of world historical proportions, the worst since the Great Depression, the United States has already responded with striking political changes, particularly the election of the first African-American president. What is likely to happen in the future and what should be the response of revolutionary class-struggle anarchists? Economically, what has begun is either a deep, lengthy, world-wide, recession — or a collapse into a second Great Depression, possibly worse than the first. This article is a critique of so-called “primitivism,” an anti-technological current mainly based in Western countries. It has a degree of influence amongst a sector of anarchists, but the author is incorrect to use the term “anarcho-primitivist,” as this suggests “primitivism” is a form of anarchism. It is not. As the author himself notes, Bakunin’s ideas are the key reference point for anarchism, and radically at odds with “primitivism”. That said, the criticisms posed are useful, and so, I thought this paper worth recovering from obscurity. In Bakunin’s day, those who longed for pre-capitalist, feudal social relations were the aristocracy. Those who took it even further and hearkened back to the days before feudalism, before slavery and to the days of free nomadic peoples, were the romanticists. They were inspired in the main by the political writings of Jean-Jacques Rousseau and by much romantic poetry and literature that indicted industrial civilization. They regarded intuition at least as important as rational deliberation, but usually more so. The values held by these romantic socialists are very similar to those held by anarcho-primitivists [sic.]. Bakunin often spoke against the romanticist socialists; he felt they held individualist values that could only develop in a very privileged milieu and which reflected that privilege and its latent elitism. What Bakunin condemned in the thinking of the political followers of Rousseau are largely the same things found in modern primitivism. 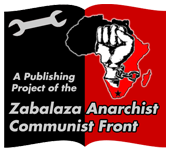 It is this commonality between the political romanticism of the Rousseauists and the beliefs of modern anarcho-primitivists that makes Bakunin’s statements applicable to the present state of the anarchist movement, especially to the anti-worker, primitivist element within it. “In every Congress of the International Workingmen’s Association,” Bakunin lamented in the late 1860’s, “we have fought the individualists or false-brother socialists who say that society was founded by a free contract of originally free men and who claim, along with the moralists and bourgeois economists, that man can be free, that he can be a man, outside of society.” Bakunin’s refers here to the followers of Jean-Jacques Rousseau, and his criticism carries weight to this day. In the anarchist movement, the romantic, anti-society sect are the primitivists. A tendency in the contemporary American radical movement is for individuals, particularly newly emerging radicals, to see themselves as enlightened, impassioned rebels struggling against a morass of public ineptitude. In the highly individualistic West, such a conception of the world and one’s relation to it is hard to avoid, given how individuals are socialized to think of themselves as the height of importance – as with others on the mere periphery. This can be true even of those who bear the brunt of class, gender, and/or racial oppression in Western societies. Some radicals never move beyond this phase, and they see the chief struggle as an individual one against the rest of humanity. With the “me versus the world” motif solidly in place, the young rebel proclaims society itself as the oppressor, adding that true freedom can only be possible outside society’s clutches, and never within it or though it. Rousseau’s romanticism feeds into this egocentric conception of the world perfectly, and it is why Bakunin and other anarchists saw individualist romanticism as a dangerous trend in the anti-capitalist, anti-statist movement. The statement of Rousseauists that “a man can be free, that he can be a man, [only] outside of society,” is implicitly elitist. It is a misanthropic view. It sees social interaction (in the large sense) as something bad, as something to be avoided, since associating with a group – a society – must always lead to oppression. One is always served best by avoiding associations of others, as such associations can only oppress or make one conform in an undesirably herdlike manner. Rousseau’s idea of the social contract posited that at one prehistoric point in time, people lived as atomized, isolated individuals who one day decided to come together for mutual protection and benefit. Living together necessitated loss of liberty; this trade-off between complete freedom and social obligation was the “social contract.” It meant that so long as humans decided to live in societies, they were necessarily not free. True freedom was possible only in isolation, away from society. Society is not inherently oppressive, though it can assume forms that are. To the followers of Rousseau, however, society itself is the problem, and real freedom can only be maintained outside its purlieus. Humans are inherently oppressive when relating in groups, according to this belief, since association means renunciation of liberty. This belief in the inherent tendency towards coercion when humans relate in groups can be seen as a liberal version of the belief taught by organised religion that people are inherently sinful and will always do ill. The duty of the person who seeks true freedom is to waste no time with others, but rather to seek out his own individual course, and to expect resistance by the rest of the herd, who will tend to repress when associated with, or so the Rousseauist idea leads one to deduce. The duty of the freedom-seeker, from the liberal Rousseauist point of view, is to declare war on society itself, or somehow boycott it. By placing themselves “beyond the pale of real existence” and becoming, as Bakunin notes, modern imitators of Narcissus, egotistical individualists resemble more, in their arrogance, the powerful elites who control and dominate society than revolutionaries. Indeed, the problem with the corporate elites and politicians who control our affairs today is that they, too, place themselves beyond the pale of society, and assume God-like positions of power in which their decision making abilities have unchecked ramifications upon the lives of humans across the globe and upon the global environment as well. Such people follow the liberal Rousseauist attitude that society – collections of humans – are inherently oppressive, thus rendering their control necessary. Control of people’s supposed innate viciousness has always been given as the rationalization for the existence of the State. To primitivists, true freedom is tantamount to finding a place where one can dwell beyond the burden of social responsibility. Corporate elites and the wealthy have found that place, and demonstrate it by continually acting in their own interests rather than society’s. But for liberal bourgeois radicals who see even this, quite despite themselves, as a part of the oppression by “society,” the only solution is to travel off somewhere away from everyone, to live alone, away from all of humanity’s evil, in an environment of what they believe to be pure and total freedom. In this setting, it is assumed that all of one’s powers may finally flower, leading to true self-actualization. Rural communes, retreats and other lifestylist forays are evidence that people do, in fact, attempt to drop out and leave society behind. Speech is indeed evidence of the social nature of man. That solitary confinement is such a cruel punishment shows that in some deep sense humans need contact with one another. Before solitary confinement, it was not uncommon to expel “undesirable” individuals from the group, to cast them into exile. Isolation has often served as a punishment; that it worked shows that its consequences are undesirable for most people. It has rarely given them ample opportunity to freely develop or become self-actualized human beings. (Any “isolation” such as religious monasticism or writers’ retreats is an “isolation” doubtless predicated upon pre-existing, beneficial social relations; i.e. monks relate with one another and use facilities built by others, writers use paper and writing materials made by others, to give some possible examples). It is hard, in this case, to see how a disdain for – or rebellion against – the idea of society itself could represent a striving for true freedom, when being deprived of social relations has historically amounted to a punishment. The possibilities for freedom that exist through social interaction are far richer than those that exist in isolation. The social anarchist position is that only certain constellations of social relations are oppressive and undesirable, and that there is potential for a liberatory society. In effect, the primitivists condemn all human relations. Primitivists may not agree with this characterization, just as, for example, capitalists might not agree that the system they support wreaks havoc on the environment or on peoples’ lives. Despite what is outwardly claimed, a look at the underpinnings of primitivist ideas reveals that the ideology is predicated upon a set of beliefs inconsistent with any goals of increasing human freedom, happiness or equality. Far from believing that all possible constellations of human social relations are destructive, social anarchists believe that there exist relations that can increase freedom and help humans develop to their fullest potential. The solution is not to leave all of society, part and parcel, and live away from civilization as a hermit. Nor is it to damn the abstraction of “consumer/ industrial/ modern society” and advocate that “society and its institutions be destroyed” as many passionate young primitivist rebels do. The solution is to work for revolutionary social change so that society may hold true to its promise of helping fully develop humanity’s latent potentialities. Rousseau’s “noble savage,” a distinctly Anglo/Eurocentric creation that has assumed the status of archetype in the imperialist West, was the model of the truly free, natural man. The noble savage is noble for living in organic unity with the environment, a conscious choice made to preserve freedom, seeing that what is called “civilization” is really an estrangement from the primal, feral self. The “noble savage” is today reflected in much of the New Age fad, through images of indigenous peoples couched in mystic symbolism, living psychically wholesome, adventurous and unrestricted lives in a state of nature. “Southwestern art,” New Age paraphernalia, and occult shops display this tendency clearly. A colonized people is held up to privileged, imperial citizens as symbols of a simpler, less restrictive past, representing a sort of Edenic existence for the bourgeois. Many express a yearning for this through meditation, sweat lodge excursions, or classes on forgotten, ancient ways of “wiser” peoples. The “natural liberty” regained is the anti-social liberty of renouncing social ties. It is the liberty of the primitivist rebel who looks backward, to the past of human history, for liberation, rather than forward. How might Voltaire respond to an essay by John Zerzan, or Feral Faun, or any other of our primitivist writers, who extol ancient people and their ways as holding the key to our liberation? How might he respond to such primitivist heroes as Ted Kaczynski, who shunned society to live a remote, primitive lifestyle where he could supposedly be truly free? These ideas on society and its desirability were not Bakunin’s alone, but form the bulk of much traditional anarchist thinking. Accepting or rejecting ideas based on their own soundness and not on the stature of the person uttering them is of course key if we are to avoid clothing some individuals in the raiment’s of sainthood, regarding all they speak as Holy Writ. However, Kropotkin, Rocker, Malatesta, Berkman, etc., all claimed that what was in order for revolutionaries was not the destruction of “society” as such, but rather the destruction of the modern form of society, to be replaced with a newer form – one that built upon the technological advances of capitalist society but jettisoned its oppressive social forms otherwise. If one disregards the basic social insights of these thinkers – as one would have to were one to believe primitivist ideas – then in what sense is one working within the milieu of Bakunin, Kropotkin, et. al. – namely, the milieu of anarchism? If a group doesn’t work within the anarchist milieu, then why should they receive such massive coverage and publication in anarchist journals? Why not give equal time to Trotskyists or others who likewise aren’t working within an anarchist milieu? Bakunin isn’t God, and just because he says something, it isn’t necessarily true (and there are other things about which Bakunin was quite wrong). But that much of Bakunin’s analysis forms the basis of subsequent antiauthoritarian thought up until our own time is a virtual truism. If the anarchist movement is ready to reject the insights that Bakunin gave us about society, then primitivism can perhaps be accepted as an adequate successor. But if Bakunin’s insights are going to be regarded as still relevant, as insights anarchists still consider true and worthy, then they are in bitter conflict with the ideas of primitivism. If we are going to be consistent, we can hold one set of beliefs – but not both of them. Anarchist insistence that revolutionary movements can develop effectively only if they speak to the specific realities of people’s lives leads logically to the conclusion that a truly revolutionary movement must accommodate itself to diversity. It must reflect an understanding of the life experiences of those who participate in it as a first step to engaging them in the revolutionary process. The need is particularly acute, and the strategic issues especially complex, in the case of women, whose daily life experiences in many societies have been, and continue to be, different from those of men. In the early years of this century, Spanish anarchists – male and female – articulated a vision of a non-hierarchical, communitarian, society in which women and men would participate equally. And yet, in pre-Civil War Spain, most women were far from “ready” to participate equally with men in the struggle to realize that vision. Although the organised anarcho-syndicalist movement (the Confederación National del Trabajo [CNT]) oriented itself primarily to workplace struggles, the majority of Spanish women were not engaged in factory work. Many of those who did engage in paid labour – mostly in the textile industry – worked at home, for piece rate wages, and were not unionised. Women who worked and had families continued to do “double duty” as housewives and mothers. The particular forms women’s oppression took in Spain kept women effectively subordinated to men even within the context of the revolutionary anarchist movement. Our methods of operating are still the same as if we were taking on a specific corporation or development, despite the fact that capitalism is not at all the same sort of thing and the ways in which one might bring down a particular company are not at all the same as the ways in which you might bring down capitalism. For example, vigorous campaigning by animal rights activists has succeeded in wrecking both Consort dog breeders and Hillgrove Farm cat breeders. The businesses were ruined and went into receivership. Similarly the campaign waged against arch-vivisectionists Huntingdon Life Sciences succeeded in reducing their share price by 33%, but the company just about managed to survive by running a desperate PR campaign in the City to pick up prices. Activism can very successfully accomplish bringing down a business, yet to bring down capitalism a lot more will be required than to simply extend this sort of activity to every business in every sector. Similarly with the targeting of butcher’s shops by animal rights activists, the net result is probably only to aid the supermarkets in closing down all the small butcher’s shops, thus assisting the process of competition and the ‘natural selection’ of the marketplace. Thus activists often succeed in destroying one small business while strengthening capital overall. A similar thing applies with anti-roads activism. Wide-scale anti-roads protests have created opportunities for a whole new sector of capitalism – security, surveillance, tunnellers, climbers, experts and consultants. We are now one ‘market risk’ among others to be taken into account when bidding for a roads contract. We may have actually assisted the rule of market forces, by forcing out the companies that are weakest and least able to cope. Protest-bashing consultant Amanda Webster says: “The advent of the protest movement will actually provide market advantages to those contractors who can handle it effectively.”  Again activism can bring down a business or stop a road but capitalism carries merrily on, if anything stronger than before. “Just as the passivity of the consumer is an active passivity, so the passivity of the spectator lies in his ability to assimilate roles and play them according to official norms. The repetition of images and stereotypes offers a set of models from which everyone is supposed to choose a role.”  The role of the militant or activist is just one of these roles, and therein, despite all the revolutionary rhetoric that goes with the role, lies its ultimate conservatism. The self-sacrifice of the militant or the activist is mirrored in their power over others as an expert – like a religion there is a kind of hierarchy of suffering and self-righteousness. The activist assumes power over others by virtue of her greater degree of suffering (‘non-hierarchical’ activist groups in fact form a ‘dictatorship of the most committed’). The activist uses moral coercion and guilt to wield power over others less experienced in the theology of suffering. Their subordination of themselves goes hand in hand with their subordination of others – all enslaved to ‘the cause’. Self-sacrificing politicos stunt their own lives and their own will to live – this generates a bitterness and an antipathy to life which is then turned outwards to wither everything else. They are “great despisers of life… the partisans of absolute self-sacrifice… their lives twisted by their monstrous asceticism.”  We can see this in our own movement, for example on site, in the antagonism between the desire to sit around and have a good time versus the guilt-tripping build/fortify/barricade work ethic and in the sometimes excessive passion with which ‘lunch outs’ are denounced. The self-sacrificing martyr is offended and outraged when she sees others that are not sacrificing themselves. Like when the ‘honest worker’ attacks the scrounger or the layabout with such vitriol, we know it is actually because she hates her job and the martyrdom she has made of her life and therefore hates to see anyone escape this fate, hates to see anyone enjoying themselves while she is suffering – she must drag everyone down into the muck with her – an equality of self-sacrifice. The militant or activist is a specialist in social change or revolution. The specialist recruits others to her own tiny area of specialism in order to increase her own power and thus dispel the realisation of her own powerlessness. “The specialist… enrols himself in order to enrol others.”  Like a pyramid selling scheme, the hierarchy is self-replicating – you are recruited and in order not to be at the bottom of the pyramid, you have to recruit more people to be under you, who then do exactly the same. The reproduction of the alienated society of roles is accomplished through specialists. Jacques Camatte in his essay ‘On Organization’  makes the astute point that political groupings often end up as “gangs” defining themselves by exclusion – the group member’s first loyalty becomes to the group rather than to the struggle. His critique applies especially to the myriad of Left sects and groupuscules at which it was directed but it applies also to a lesser extent to the activist mentality. Activism reproduces the structure of this society in its operations: “When the rebel begins to believe that he is fighting for a higher good, the authoritarian principle gets a fillip.”  This is no trivial matter, but is at the basis of capitalist social relations. Capital is a social relation between people mediated by things – the basic principle of alienation is that we live our lives in the service of some thing that we ourselves have created. If we reproduce this structure in the name of politics that declares itself anti-capitalist, we have lost before we have begun. You cannot fight alienation by alienated means. This is a modest proposal that we should develop ways of operating that are adequate to our radical ideas. This task will not be easy and the writer of this short piece has no clearer insight into how we should go about this than anyone else. I am not arguing that June 18th should have been abandoned or attacked; indeed it was a valiant attempt to get beyond our limitations and to create something better than what we have at present. However, in its attempts to break with antique and formulaic ways of doing things it has made clear the ties that still bind us to the past. The criticisms of activism that I have expressed above do not all apply to June 18th. However there is a certain paradigm of activism which at its worst includes all that I have outlined above and June 18th shared in this paradigm to a certain extent. To exactly what extent is for you to decide. Activism is a form partly forced upon us by weakness. Like the joint action taken by Reclaim the Streets and the Liverpool dockers – we find ourselves in times in which radical politics is often the product of mutual weakness and isolation. If this is the case, it may not even be within our power to break out of the role of activists. It may be that in times of a downturn in struggle, those who continue to work for social revolution become marginalised and come to be seen (and to see themselves) as a special separate group of people. It may be that this is only capable of being corrected by a general upsurge in struggle when we won’t be weirdo’s and freaks any more but will seem simply to be stating what is on everybody’s minds. However, to work to escalate the struggle it will be necessary to break with the role of activists to whatever extent is possible – to constantly try to push at the boundaries of our limitations and constraints. Many of the articles printed in the Reflections on June 18th pamphlet repeated almost to the onset of tedium that capitalism is a social relation and isn’t just to do with big banks, corporations or international financial institutions. It’s an important point and worth making, but ‘Give up Activism’ had other fish to fry. Therefore the conclusion reached by these other articles was the point of departure for this one – if it is true that capitalism is a social relation based in production and in the relations between classes then what implications does this have for our activity and for our method of attacking it? The basic kernel of the piece and the initial idea that inspired the writing of it is the ‘Form and Content’ section. It had occurred to many people that there was something a little odd about a ‘day of action against capitalism’. The original inspiration behind the article was an attempt to pin down what it was that made the idea appear a little odd, incongruous, contradictory. It seemed there was a similarity between the way we were carrying on acting like liberal activists campaigning against capitalism as if it was another single issue, another ‘cause’, and Vaneigem’s critique of the leftist militant, whose politics consist of a set of duties carried out on behalf of an external ‘cause’. It is true that the activist and the militant share this common factor, but it is about all they have in common. I made the mistake of carrying over all the other characteristics attributed by Vaneigem to ‘the militant’ and assigning them also to the activist, when they largely weren’t appropriate. As a result, large sections of ‘Give up Activism’ come across as far too harsh and as an inaccurate representation of the direct action movement. The Situationists’ characteristic bile was perhaps more appropriate when directed at leftist party hacks than as a description of the sort of politics involved around June 18th. The self-sacrifice, the martyrdom and guilt that Vaneigem identified as central to the politics of ‘the militant’ is much less a feature of direct action politics, which to the contrary is more usually criticised for the opposite failing of lifestylism. It is now clear that the slipshod hitching of Vaneigem to a enquiry into what it was that was incongruous and odd in having a one-day action against capitalism was an error, prompted by an over-hasty appropriation of Situationist ideas, without considering how much of a connection there really was between them and the original idea behind the piece. The theory of roles is perhaps the weakest part of Vaneigem’s ideas and in his ‘Critique of the Situationist International’, Gilles Dauvé even goes so far as to say: “Vaneigem was the weakest side of the SI, the one which reveals all its weaknesses”. This is probably a little harsh. But nevertheless, the sort of degeneration that Situationist ideas underwent after the post-1968 disintegration of the SI took the worst elements of Vaneigem’s “radical subjectivity” as their starting point, in the poorest examples effectively degenerating into bourgeois individualism. That it is this element of Situationist thought that has proven the most easily recuperable should give us pause for thought before too-readily taking it on board. This over-emphasis in ‘Give up Activism’ on the theory of roles and on the subjective side of things has led some people to fail to recognise the original impetus behind the piece. This starting point and presupposition was perhaps not made clear enough, because some people seem to have assumed that the purpose of the article was to make some kind of point concerning individual psychological health. ‘Give up Activism’ was not intended to be an article about or an exercise in radical therapy. The main intention of the article, however inexpertly executed, was always to think about our collective activity – what we are doing and how we might do it better. However, there was a point to the ‘subjectivism’ of the main part of the article. The reason why ‘Give up Activism’ was so concerned with our ideas and our mental image of ourselves is not because I thought that if we change our ideas then everything will be alright, but because I had nothing to say about our activity. This was very clearly a critique written from the inside and thus also a self-critique and I am still very much involved in ‘activist’ politics. As I made plain, I have not necessarily got any clearer idea than anyone else of how to go about developing new forms of action more appropriate to an ‘anti-capitalist’ perspective. June 18th was a valiant attempt to do just this, and ‘Give up Activism’ was not a criticism of the action on June 18th as such. I certainly couldn’t have come up with anything much better myself. Although the piece is called ‘Give up Activism’, I did not want to suggest at all that people stop trashing GM crops, smashing up the City and disrupting the gatherings of the rich and powerful, or any of the other myriad acts of resistance that ‘activists’ engage in. It was more the way we do these things and what we think we are doing when we do them that I was seeking to question. Because ‘Give up Activism’ had little or nothing to recommend in terms of objective practical activity, the emphasis on the subjective made it seem like I thought these problems existed only in our heads. Of course, thinking of ourselves as activists and as belonging to a community of activists is no more than a recognition of the truth, and there is nothing pathological in that. The problem I was trying to make clear was the identification with the activist role – being happy as a radical minority. I intended to question the role, to make people dissatisfied with the role, even while they remained within it. It is only in this way that we stand a chance of escaping it. Obviously we are constrained within our specific circumstances. During an ebb in the class struggle, revolutionaries are in even more of a minority than they are in any case. We probably don’t have any choice about appearing as a strange subculture. But we do have a choice about our attitude to this situation, and if we come to ditch the mental identification with the role then we may discover that there is actually some room for manoeuvre within our activist role so that we can try and break from activist practice as far as we are able. The point is that challenging the ‘subjective’ element – our activist self-image – will at least be a step towards moving beyond the role in its ‘objective’ element also. As I said in ‘Give up Activism’, only with a general escalation of the class struggle will activists be able to completely ditch their role, but in the meantime: “to work to escalate the struggle it will be necessary to break with the role of activists to whatever extent is possible – to constantly try to push at the boundaries of our limitations and constraints.” Which was precisely the point of the article. Although ‘Give up Activism’ neglected to recommend any actual change in behaviour outside of saying that we needed one, perhaps now it would be appropriate to say something about this. How can we bring ‘politics’ out of its separate box, as an external cause to which we dedicate ourselves? Many of the criticisms of the direct action movement revolve around similar points. Capitalism is based on work; our struggles against it are not based on our work but quite the opposite, they are something we do outside whatever work we may do. Our struggles are not based on our direct needs (as for example, going on strike for higher wages); they seem disconnected, arbitrary. Our ‘days of action’ and so forth have no connection to any wider on-going struggle in society. We treat capitalism as if it was something external, ignoring our own relation to it. These points are repeated again and again in criticisms of the direct action movement (including ‘Give up Activism’ but also in many other places). The problem is not necessarily that people don’t understand that capital is a social relation and that it’s to do with production as well as just banks and stock exchanges, here as well as in the Third World or that capital is a relation between classes. The point is that even when all of this is understood our attitude to this is still as outsiders looking in, deciding at what point to attack this system. Our struggle against capitalism is not based on our relation to value-creation, to work. On the whole the people who make up the direct action movement occupy marginal positions within society as the unemployed, as students or working in various temporary and transitory jobs. We do not really inhabit the world of production, but exist largely in the realm of consumption and circulation. What unity the direct action movement possesses does not come from all working in the same occupation or living in the same area. It is a unity based on intellectual commitment to a set of ideas. To a certain extent ‘Give up Activism’ was being disingenuous (as were many of the other critiques making similar points) in providing all these hints but never spelling out exactly where they led, which left the door open for them to be misunderstood. The author of the critique in The Bad Days Will End! was right to point out what the article was indicating but shied away from actually mentioning: the basic thing that’s wrong with activism is that it isn’t collective mass struggle by the working class at the point of production, which is the way that revolutions are supposed to happen. The sort of activity that meets the criteria of all the criticisms – that is based on immediate needs, in a mass on-going struggle, in direct connection to our everyday lives and that does not treat capital as something external to us, is this working class struggle. It seems a little unfair to criticise the direct action movement for not being something that it cannot be and has never claimed to be, but nevertheless, if we want to move forward we’ve got to know what we’re lacking. The reason that this sort of working class struggle is the obvious answer to what we are lacking is that this is THE model of revolution that the last hundred years or so has handed down to us that we have to draw upon. However, the shadow of the failure of the workers’ movement still hangs over us. And if this is not the model of how a revolution might happen, then what is? And no one has any very convincing answers to that question. So we are stuck with the question – what do we do as a radical minority that wants to create revolution in non-revolutionary times? The way I see it at the moment, we basically have two options. The first is to recognise that as a small scene of radicals we can have relatively little influence on the overall picture and that if and when an upsurge in the class struggle occurs it probably won’t have much to do with us. Therefore until the mythical day arrives the best thing we can do is to continue to take radical action, to pursue politics that push things in the right direction and to try and drag along as many other people as possible, but basically to resign ourselves to that fact that we are going to continue to be a minority. So until the point when some sort of upturn in the class struggle occurs it’s basically a holding operation. We can try and stop things getting worse, have a finger in the dam, try and strategically target weak points in the system where we think we can hit and have some effect, develop our theory, live our lives in as radical a way as possible, build a sustainable counter culture that can carry on doing these things in the long term… and hopefully when one day, events out of our control lead to a general radicalisation of society and an upturn in the class struggle we will be there ready to play some part and to contribute what things we have learnt and what skills we have developed as a radical subculture. The flaw in this sort of approach is that it appears almost like another sort of ‘automatic Marxism’ – a term used to poke fun at those Marxists who thought that a revolution would happen when the contradictions between the forces and the relations of production had matured sufficiently, when the objective conditions were right, so that revolution almost seemed to be a process that happened without the need for any human involvement and you could just sit back and wait for it to happen. This sort of idea is a flaw carried over into ultra-left thinking. As is explained in The Bad Days Will End!, many ultra-left groups have recognised that in periods of downturn, they are necessarily going to be minorities and have argued against compensating for this with any kind of party-building or attempts to substitute their group for the struggle of the proletariat as a whole. Some ultra-left groups have taken this line of thinking to its logical conclusion and have ended up turning doing nothing into a political principle. Of course our response would not be to do nothing, but nevertheless, the point remains that if everyone similarly just waited for an upsurge to happen then it certainly never would. Effectively by just waiting for it to happen we are assuming that someone else will do it for us and maintaining a division between us and the ‘ordinary’ workers who will make this happen. A current example of exactly this sort of thing is the investigation into call centres initiated by the German group Kolinko, which is mentioned in The Bad Days Will End! and was also contributed to in the recent Undercurrents No. 8. The idea of this project is that call centres represent the ‘new sweatshops’ of the information economy and that if a new cycle of workers’ resistance is to emerge anywhere then this might just be the place. It is perhaps also worth considering that changing circumstances might work to our advantage – the restructuring of the welfare state is forcing more and more activists into work. For example the call centre enquiry project mentioned above could represent a good opportunity for us as call centres are exactly the sort of places where people forced off the dole end up working and exactly the sort of temporary and transient jobs in which those involved in the direct action movement end up working also. This certainly could help make the connection between capitalism and our own immediate needs, and perhaps might allow us to better participate in developing new fronts in the class struggle. Or the increased imposition of work could just end up with us even more fucked over than we are at present, which is obviously what the government are hoping. They are attempting to both have their cake and eat it – trying to turn the clock back and return to days of austerity and privation while gambling that the working class is so atomised and divided by twenty years of attacks that this will not provoke a return of the struggle that originally brought about the introduction of these amelioration measures in the first place. Only time will tell whether they are to be successful in their endeavour or whether we are to be successful in ours. In conclusion, perhaps the best thing would be to try and adopt both of the above methods. We need to maintain our radicalism and commitment to direct action, not being afraid to take action as a minority. But equally, we can’t just resign ourselves to remaining a small radical subculture and treading water while we wait for everyone else to make the revolutionary wave for us. We should also perhaps look at the potential for making our direct action complement whatever practical contribution to current workers’ struggles we may feel able to make. In both the possible scenarios outlined above we continue to act more or less within the activist role. But hopefully in both of these different scenarios we would be able to reject the mental identification with the role of activism and actively try to go beyond our status as activists to whatever extent is possible. To my knowledge the article has been translated into French and published in Je sais tout (Association des 26-Cantons, 8, rue Lissignol CH-1201 Genève, Suisse) and in Éxchanges No. 93 (BP 241, 75866 Paris Cedex 18, France). It has been translated into Spanish and published in Ekintza Zuzena (Ediciones E.Z., Apdo. 235, 48080 Bilbo (Bizkaia), Spanish State). It has been republished in America in Collective Action Notes No. 16-17 (CAN, POB 22962, Baltimore, MD 21203, USA) and in the UK in Organise! No. 54 (AF, c/o 84b Whitechapel High Street, London E1 7QX, UK). It is also available online at: www.infoshop.org/octo/j18_rts1.html#give_up and http://tierra.ucsd.edu/~acf/online/j18/reflec1.html#GIVE If anyone knows of any other places it has been reproduced or critiqued, I would be grateful to hear of them, via Do or Die. The Kolinko proposal was recently published in Collective Action Notes No. 16-17.